The town of Arona, Aruna in lombard dialect, lies on the Piedmont shore of lake Maggiore. It has a very old history, the first settlements date back to prehistoric times, and it’s always been the heart of lake Maggiore. Not to be missed, tha statue of San Carlone, made of bronze and copper, in honour of Saint Carlo Borromeo who was born in Arona. The town of Stresa is unique. 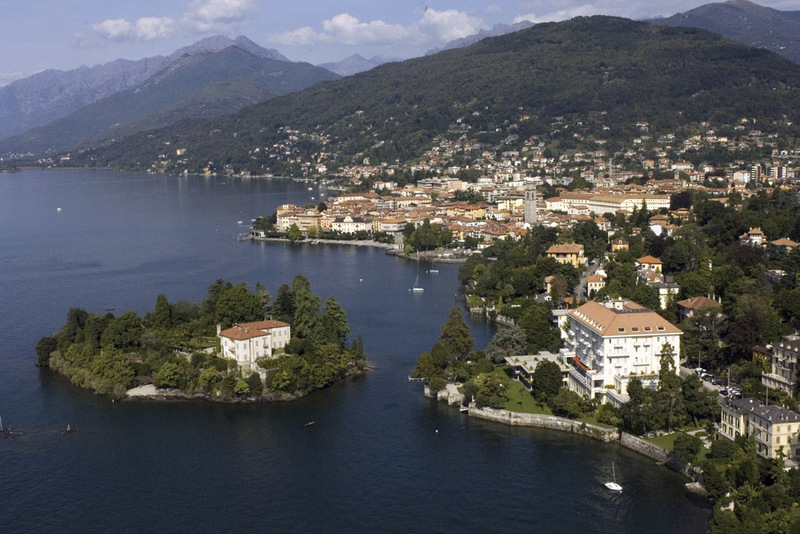 It is partially hilly and partially lying along the lake just in front of the Borromee islans, three of being part of Stresa (isola Bella, isola Madre and Fishermen’s island). Every year it is among the most visited destinations in the world for its appealing location, its lakefront with stunning views and it can proud itself of a long tradition in hospitality. A symbol is the Grand Hotel et des Iles Borromées, also known as Hotel Borromeo, built in 1861. Verbania is known as the garden of the lake. From this town it is possible to see the whole Borromeo gulf in all its splendour walking along its tree-lined alleys. The ferry which crosses lake Maggiore connecting Intra and Laveno is something interesting.